Why Bother Getting Rid Of Pigeons And Pest Birds? Not so cute now, are they? commercial building can expose you, your family, your friends, or your employees to these numerous, and very dangerous health hazards. The following diseases and parasites are transmittable to humans and pets. 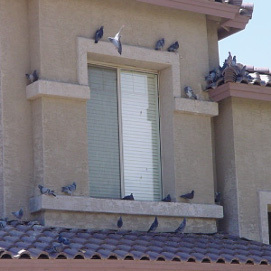 Pigeons and pest birds nesting, roosting, even simply loafing on your house or commercial building can expose you, your family, your friends, or your employees to these numerous, and very dangerous health hazards. Southwest Avian Solutions, LLC guarantees all workmanship and installations for 3 – 5 years depending on the project, and the majority of the pigeon control and bird deterrent products and materials that we use to bird proof your home or business can carry up to a 5 year warranty. We guarantee against pest birds re-entering any locations that Southwest Avian Solutions, LLC has installed products on or closed off. We can not guarantee that birds will not move to other unprotected locations, now or in the future, on your home, business, or structure that Southwest Avian Solutions, LLC did not protect. and situations here in Arizona. 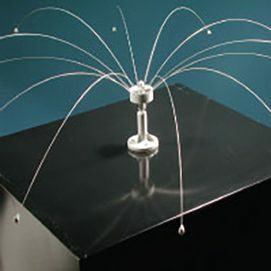 to gain valuable knowledge about the many different bird deterrent and bird repellent products these companies offer and have attended hands on training classes to learn how to correctly install them. After more than 36 years in the bird, bee, and pest control business, we have learned a great deal through training provided by our suppliers, membership in the Nation Pest Management Association, and the Arizona Pest Professional Organization. However, our real training comes from hundreds of thousands of man-hours doing both hands on field work and experimental application work. 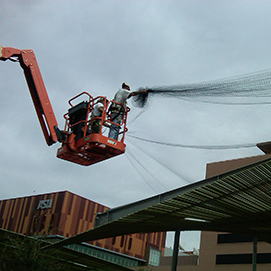 We’ve used many different bird proofing, bird exclusion, and bird deterrent materials and methods to find out what looks good and what will hold up to the Arizona heat for the varying structures and situations here in Arizona. We do not subscribe to fast cures, gimmicks, or a one-method-fits-all approach to pigeon and bird control. No matter how big or small a project is we look at each bird problem with an open mind and, based on our extensive knowledge and experience, try to analyze what is going on. Why are the birds in this location? What can be done to effectively stop the pest bird problem? How can we make this as discreet as possible? 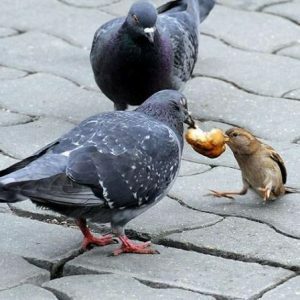 Only then will we recommend what we feel will work the best for your pest bird problems and your budget. 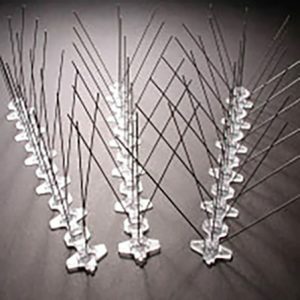 All of our installers have gone through the Bird Barrier and/or the Bird B Gone Certified installers training classes to gain valuable knowledge about the many different bird deterrent and bird repellent products these companies offer and have attended hands on training classes to learn how to correctly install them. © 2018 Southwest Avian Solutions, LLC. All Rights Reserved.